I do a lot of networking. I enjoy meeting and learning about other companies and the services they provide. A lot of times, these businesses are small, one or two employee companies, and are doing the same thing I am: seeking new business. When I meet these businesses, there’s the general 30 second elevator speech where I learn in a nutshell who they are, what they specialize in, and what they are looking for in a referral. We exchange cards, and move on to the next person in the room. The problem is, though, once I’ve left the event, I’ve only got a business card to remember you by, and what that card gives me not only reflects on you, but on the level of professionalism in your business. here are my top do’s and don’ts for business cards that you should be aware of, because if you commit any of these don’ts, that may explain why you don’t receive the level of response you expect. -Your card should only state the facts, DON’T put too much information, or a paragraph on there that only makes me want to toss it. -Put too little information and I’m going to toss that one as well. I need your name, your business name, your email address, a phone number, a website, and the city and state you’re located in. -Too dark of a card, or too colorful, and it won’t scan correctly. If I have to handwrite your card’s information, I’d rather toss it. I know you want to show your creative side; just don’t do it with your business card. Keep the color neutral to ensure it can be scanned, and easy to read. Everything is great about this, but with it being black, it won’t scan correctly! -Speaking of creative, I know, I KNOW you want a card that’s different-one that stands out! But I can’t scan it, which means I’ll toss it. No circles, bi-folds, diamonds, hearts, super small or super big cards. Again, show your creativity in your conversation-not in your cards. 95% of the people you meet will be scanning this card of yours, and if their scanner can’t read it, what do you think they’re doing with it? Yep, tossing it. This is a really cool looking card, but it won’t scan! -For the love of all that is good, I cannot tell you how many business cards I receive without an email address! I don’t understand why anyone wouldn’t put this crucial bit of information on their card. I know you have one; put it on your card. It is very important if you want to be seen as a professional company to include an email address; it is the number one way you will receive a referral. Hands down. -If you have a photo, include it on your card. It’s helpful in remembering who you are when someone like me meets hundreds of people a year. -If you have a logo or a tagline, include that as well. It’s an important way to remember you. -List accreditation, or any useful information I may need that will set you apart; Quickbooks certified, a notary, licensed bonded and insured, etc. -Include a fax number and any social media sites where you have a page so I can further connect with you. 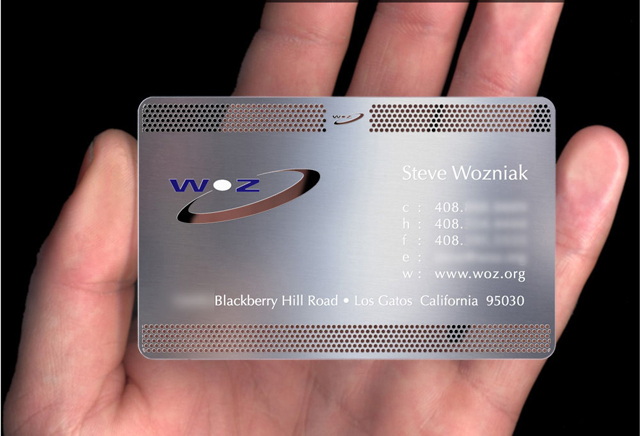 Your business card is continuing to make an impression on a person long after they’ve met you. Make sure the impression is a good one! What does your card say about you? ← Do You Need Insurance For Your Home-Based Business?